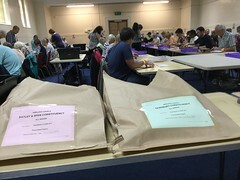 The ballot boxes have arrived back at Cathedral House ahead of the local election count in Kirklees. Not sure who to vote for or where to vote? First time voter Max tells us it’s easier than you think to vote in the local elections. Today, all day (and all evening) the Inspectors are quietly going around every polling station in your local area, making sure that all is well and that you are able to vote. Neve is 19 and is voting for the local elections for the first time. She tells us why she thinks it’s important to vote. 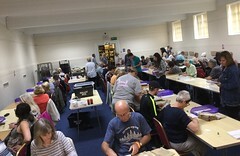 Almost 200 Presiding Officers are busy running polling stations all across Kirklees. It’s a long day for everyone, but Diane tells us how they are “just getting on with it”.